Babiators ($19.99) are the newest, coolest and trendy sunglasses out there for your little one. 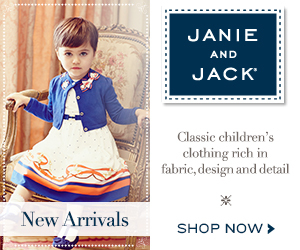 They suit perfectly on babies and kids from the age of 0 up to age 7. 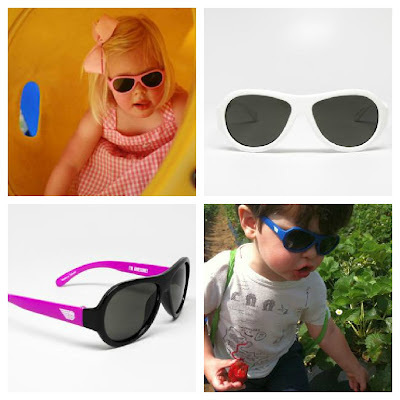 Babiators come in two sizes and four cool colors: Black, Blue, Red, and Pink. The babiators are safe and durable. The lenses offer 100% UVA and UVB protection.They are made of pliable rubber so kids can bend them and they won't break! Are you getting ready for fall? this outfit is perfect for a girl who wats to look feminine and elegant. Love it as much as we do? lucky for you, we have all the deets on this outfit. 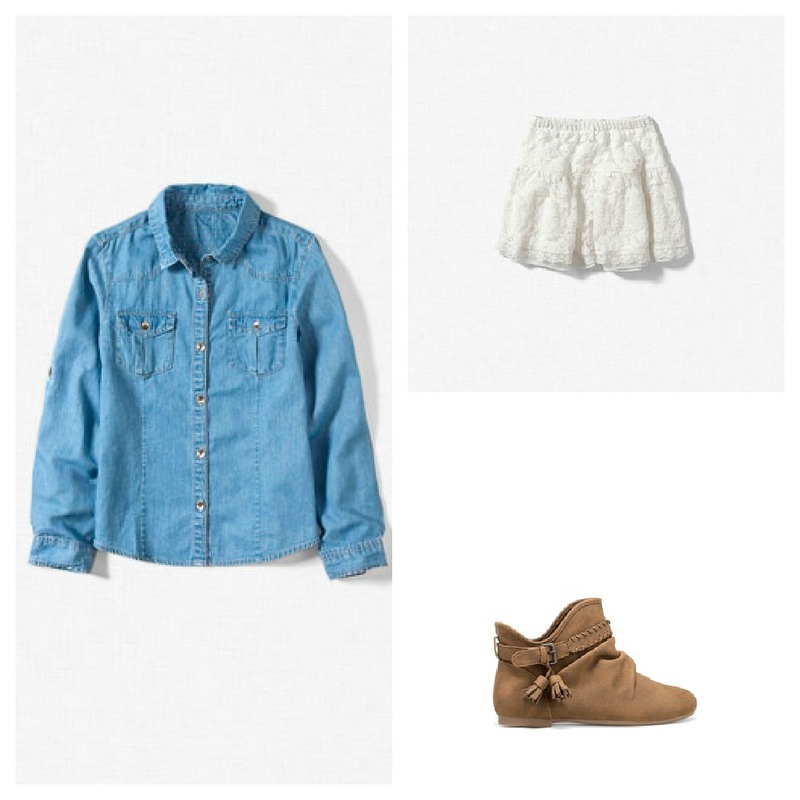 Zara skirt with lace trim ($15.99), Zara basic boot with tassels ($19.99) and Zara denim shirt ($29.90). Let your girl's personality shine through with this beautiful outfit. 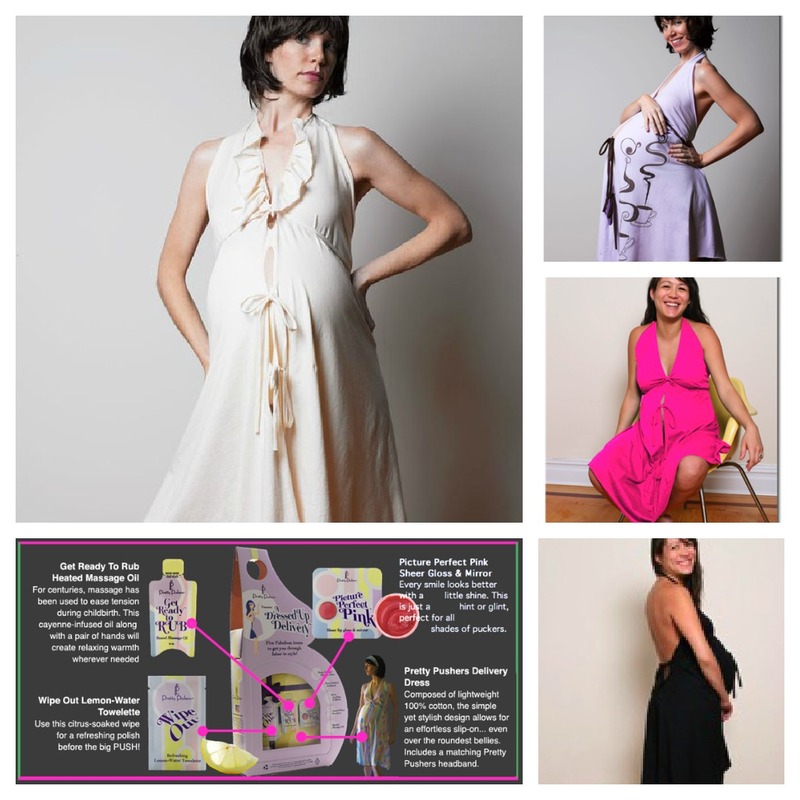 Modernize yor labor with this beautiful dress available in black, hot pink, white. You can get it in one size (2-16 pre-pregnancy) $24 or plus size (18-26 pre-pregnancy) $28. This amazing and comfortable dress is 100% cotton and disposable! Yes! as you read, wear it, dispose of it. Don't waste hot water and harsh chemicals on cleaning it. The dress has a halter neck, a frontal opening to allow fetal monitors, low-cut back to allow epidural acces if necessary. Don't hesitate to modernize your labor with this outfit made in the USA. Love Harper's pretty pieces as much as we do? We've rounded up similar, yet more economic-friendly styles, all under $30. Check out our finds below. 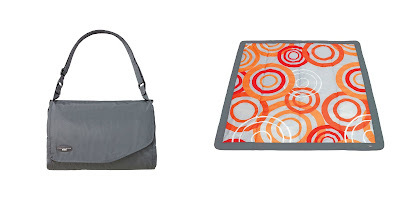 The JJ Cole blanket (Tangerine Orbit) ($30.00) is perfect for the whole family at any ocassion. 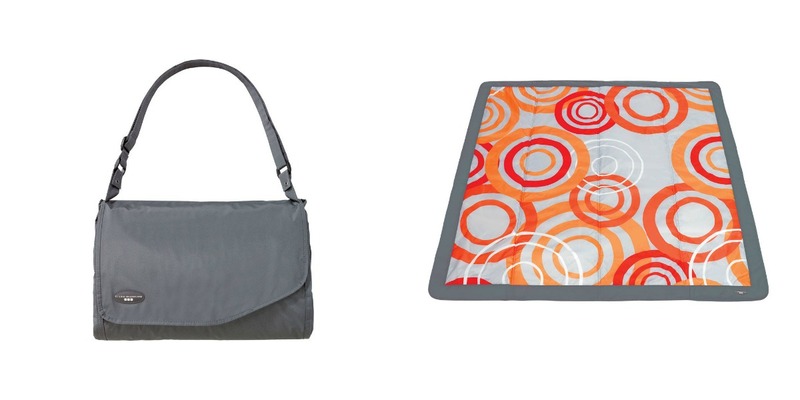 Not only does it wipe clean, but the durable fabric is ideal for any surface. When it's time to go home, this sturdy outdoor blanket folds up compactly, and handy creases make folding it a simple and speedy process. It even has a handle to make it easy to carry. Be ready for playtime, anytime with this blanket! I believe having a good diaper pail is a must among all parents. We all know that diapers are necessary when it comes to newborns.Little ones could go through 12 diapers a day! and let's be honest nobody wants their smell. 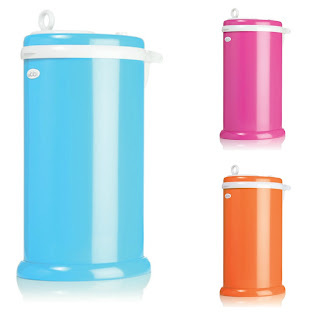 Some years ago, diaper pails were made of plastic, so while they kept the dirty diapers wrapped in plastic and deep in the pail until the parent was ready to wash (cloth) or dispose (plastic), the smell would break through. With the Ubbi Diaper Pail ($79.99), everything is different now. It is made of steel, so it doesn't capture the microorganisms that cause the smells to stick around. Obviously, it also means it is easy to wash. The tall oval shape makes it functional while adding a bit of sleek style to the room. In five steps you can set up and use the Ubbi diaper Pail. The lid slides shut and keeps the odors in. even when you open it to add a new dirty diaper, you won't feel an overwhelming smell.the tight rubber seal also help to ensure that smells stay in the pail.It even has a child-`proof locking system so your kiddo's curious hands don't reach it. The overall of best aspect about this diaper pail? you can use it with any kitchen garbage bags. Definitely under the Ubbi name, "you will find unique, quality products that are designed to be easy to use, helping to simplify parent's lives while keeping babies as happy and safe as can be". As a mother of a 2 year old kid living in miami and frequently flying to Colombia, I have said adios to my car seat many times at the large luggage desk at the airport and anyone who has ever traveled with a car seat knows the hassle it can be. If you are facing the same problem I had before, this product is perfect for you! The Easy car seat (56.99 pounds) is ideal for emergencies. When inflated it is very sturdy and supportive. In the same way, the Easy car seat is designed for use for children 3 and up. It is also portable, you can folded and it is lightweight. If you want to see it on action visit the Easy car seat website. Give your children "control" of the remote, while still controlling which channels your children can watch. You can program in 7 channels and then give them control. 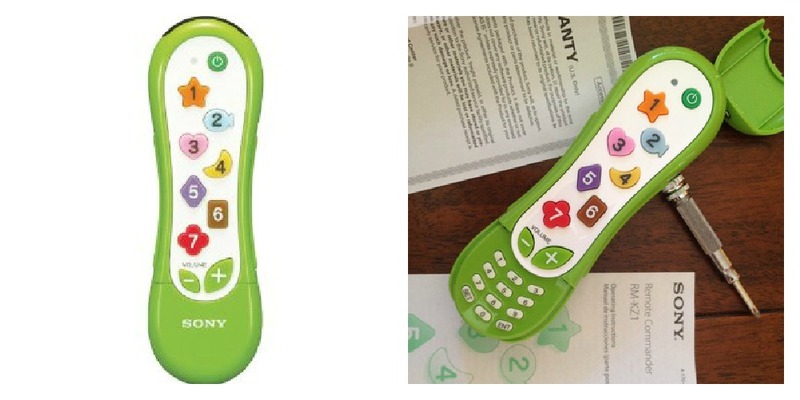 The control has fun and unique-shaped buttons that will caught your little ones attention. The Sony Kids remote control ($8.50) has also a volume limiting function that prevents accidental volume spike. this adorable product is splash proof and features locked down battery and programming compartments. It is perfectly build for small hands and it can control up to two componets (TV -Sat/Cable). 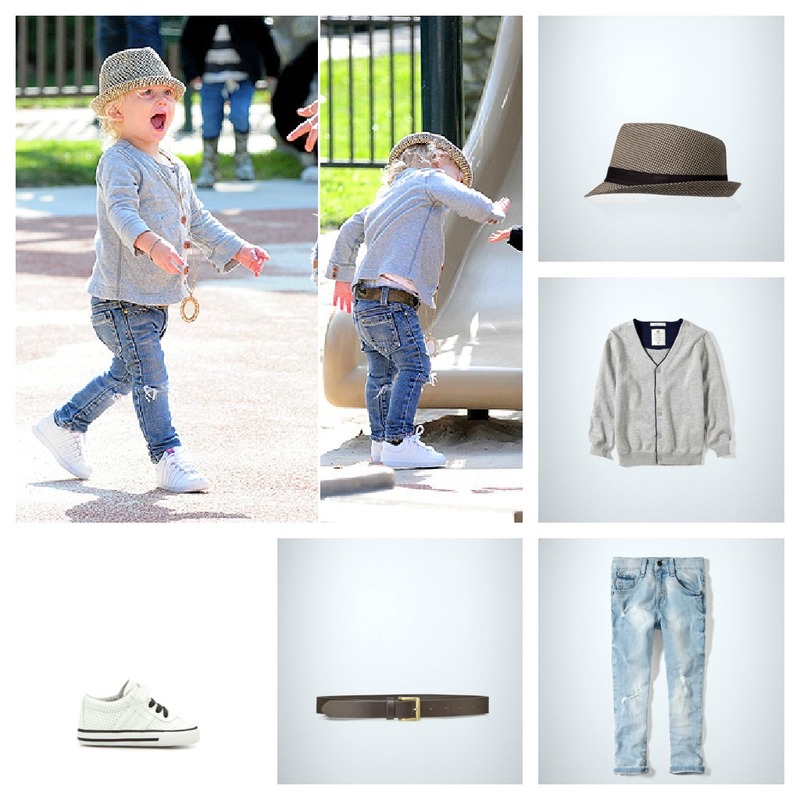 Thanks to his rocker mom, Gwen Stefani, Zuma Rossdale always looks trendy in his rockstar outfit.Not only his otfit is super stylish, but zuma looks awesome wearing it. Want to get his look for less? Luckily we found it for you! The Boon trunk snack box ($17.99) have compartments to keep food and air-tight seal lid to keep snacks fresh. They are easy to clean and the protective cover keeps spoon clean between feedings. Perfect snack boxes for on-the-go! Bobles Tumbling Animals can be used as furniture, but the main objective is that kids play with them. The idea is to enhance the children's motor skills while playing! The animals can stand alone and the more tumbling animals you have - 4, 8 or 15 different tumbling animals -together, your kid will have more opportunities for bodily development and hereby motor skills. Here's a new cool product for nursing moms. 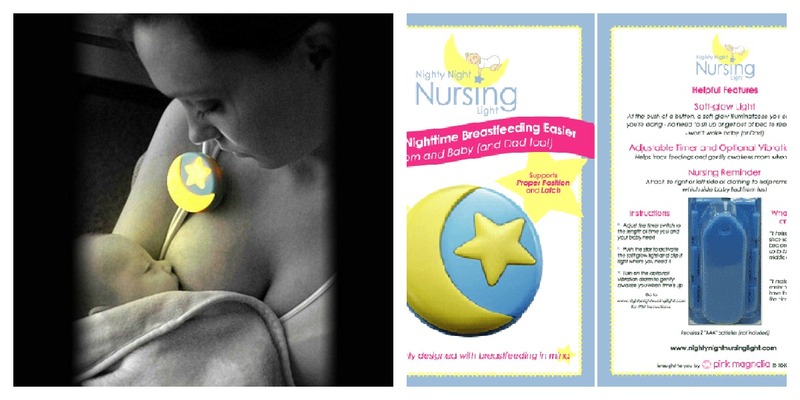 The nursing light ($19.99) is a little pin to clip on your clothes for nursing at night. The Light is a multi-functional light that has a very soft glow so it won't disturb the baby. It is very easy to use, just push start to activate the soft glow light and clip it right where you need it. The nursing light also has an optional alarm that can be set for the needed nursing time, so if the mother falls asleep, the alarm will awaken her, so she can put the baby back to bed. The reviews I've been reading said that it is a lot easier and more comfortable than using the glow of a cellphone or tuning the lights on. 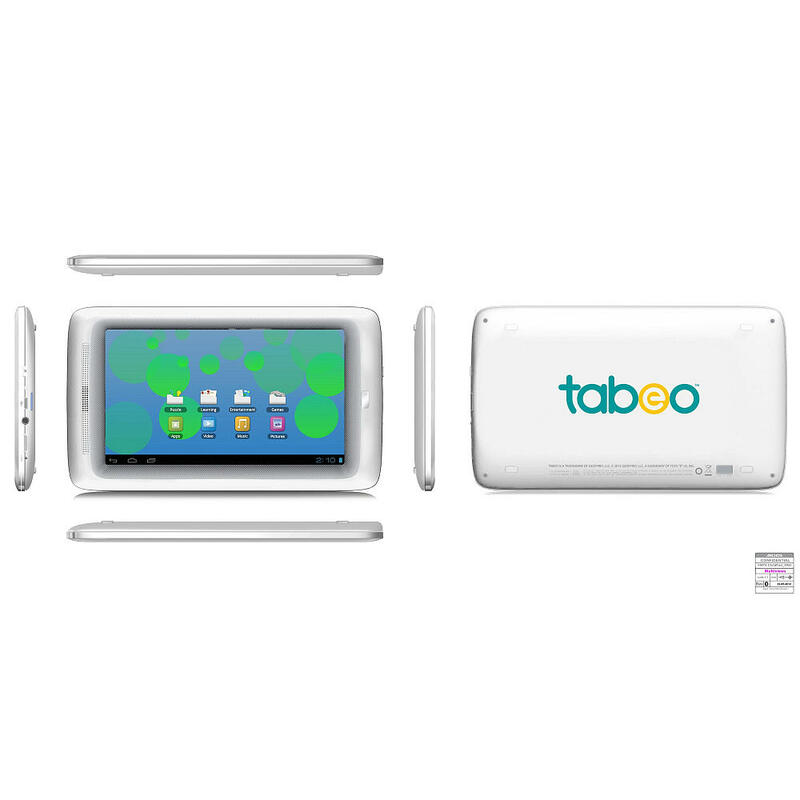 Toys R Us announced to launch its own tablet, The Tabeo, a tablet designed for children. the touchscreen tablet will hit stores on October 21, 2012, priced at $149.99 and will come with apps that your kids love, such as angry Birds and Fruit Ninca, but it will also include some child-safety features. 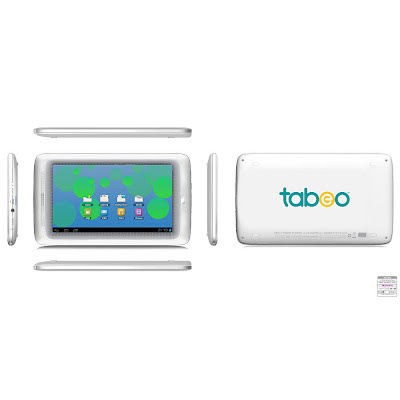 The Tabeo is considered tobe a real tablet, with real specs. The tablet has a 7-inch display and will run on Goggle Inc.'s Android 4.0 operating system. It also supports WiFi and has a front camera, speakers, a microphone, a mini-HDMI port, and a USB port. Toys R Us estimates 10 hours of battery life during normal use. Parental Controls block inappropriate content to surf the web safely. Front-facing camera to capture and share special moments. HDMI output to enjoy photos, videos, and more on your TV. Enjoy books, games, music, videos, and photos everywhere. 4 GB Storage, but is expandable up to 32 GB. 50 pre-loaded games, books, and educational apps. The Tabeo is a great gift idea for the holiday season, and it should be included on the list of hot Christmas toys 2012. 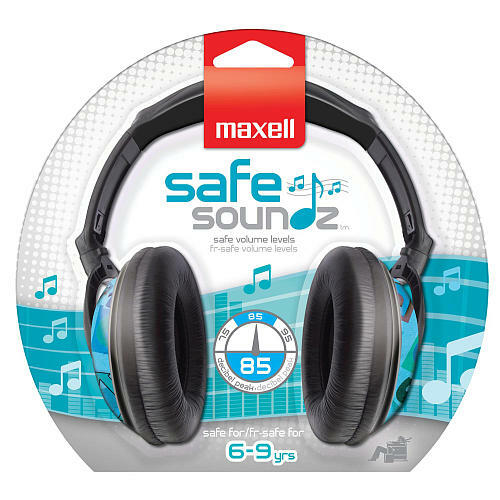 Maxwell have launched the "Safe soundz" headphones ($16.99) so kids can listen to their favorite music with style while parents can be confident the volume is not being turned up too high. 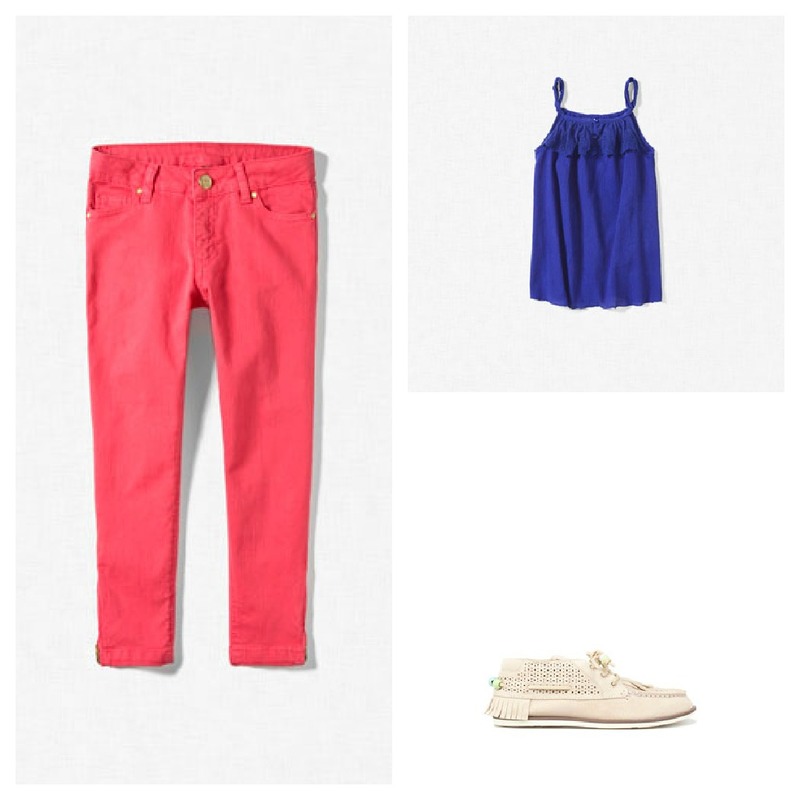 They come in different colors and patterns for both boys and girls. The different stages by age is awesome because it fits the different head sizes and decible levels are set to certain levels depending on age stage. Recommended for ages 6-9, the decibel levels are set at 85bd to avoid music or movies being played too loudly. 9. Hot Pink Flower Organic Printed Onesie in Natural $21.50 Etsy. Aren't they adorable??? 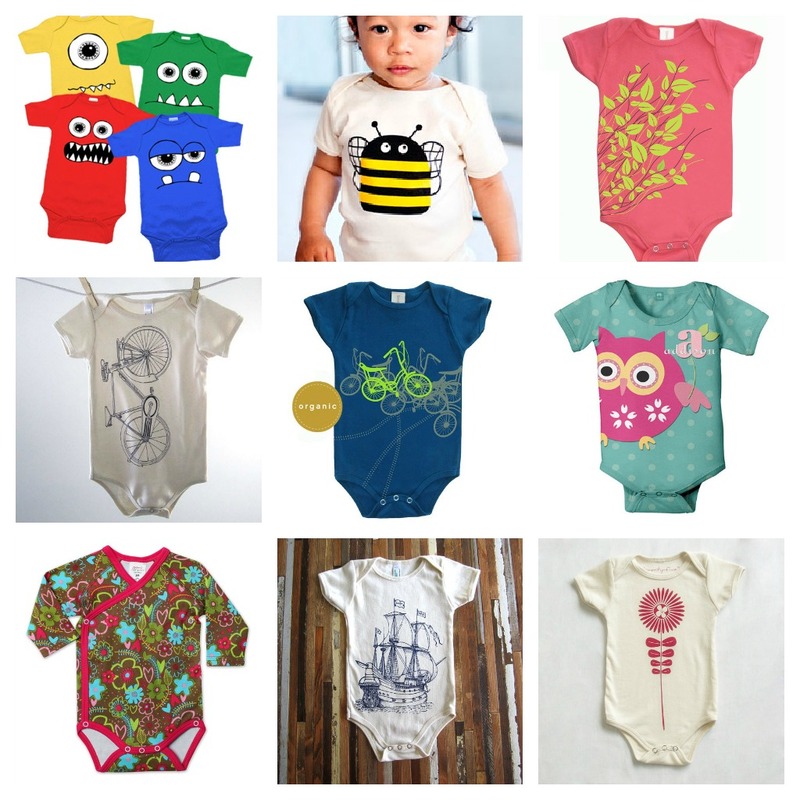 They are definitely cute, trendy, stylish designs that kids must have! Looking forward to getting trendy outfits for the season about to come? 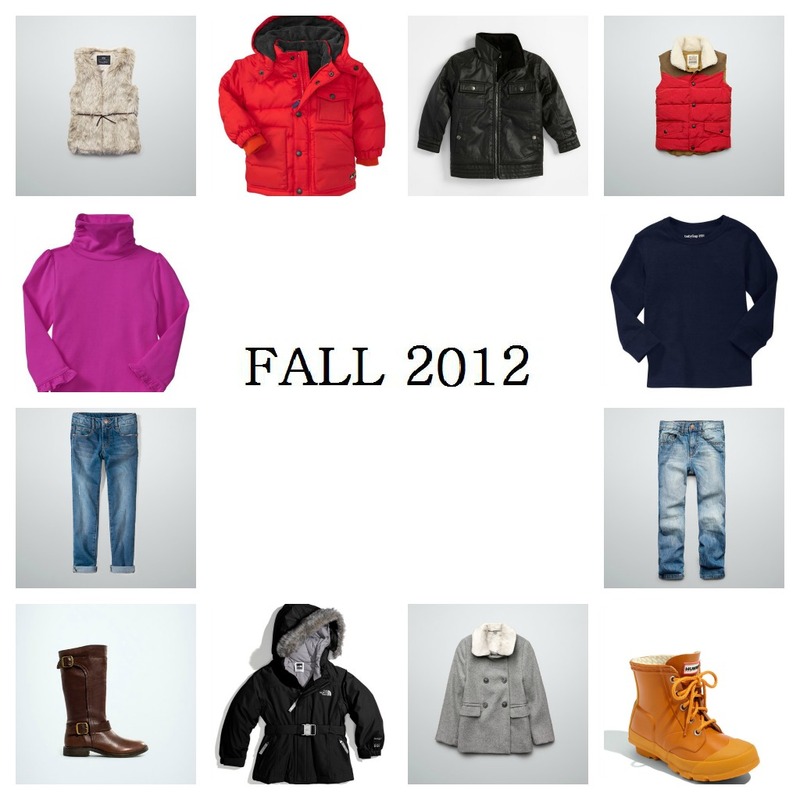 Here you can find a few essential clothing pieces that kids need in their closet. 6. Gap warmest jacket ($52). Boom Inc ($17.99) is the face of innovation for modern parents creating contemporary products. 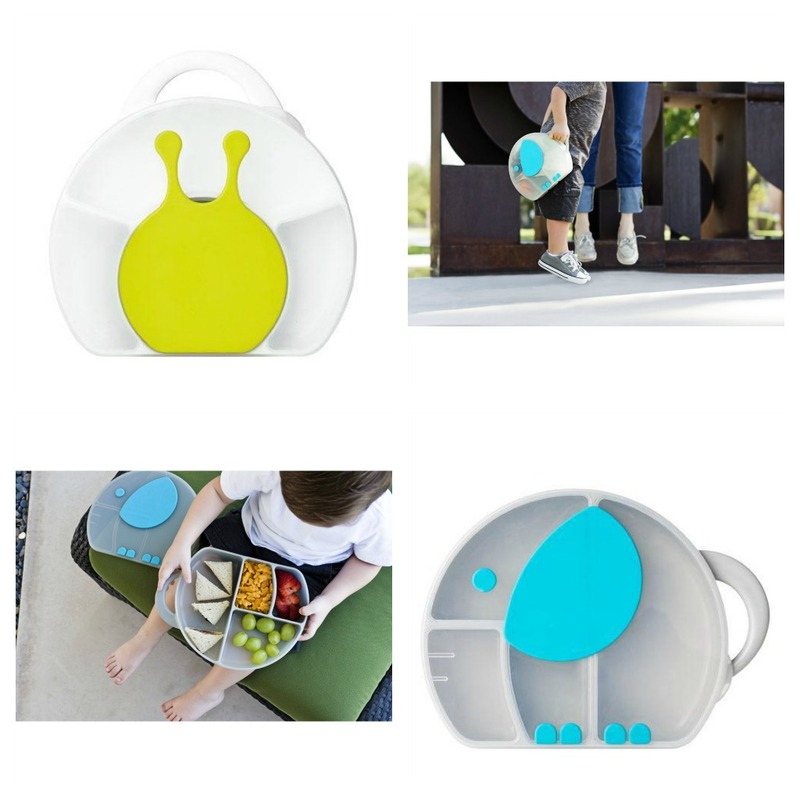 Boon Inc has created trendy products, functional and fun. 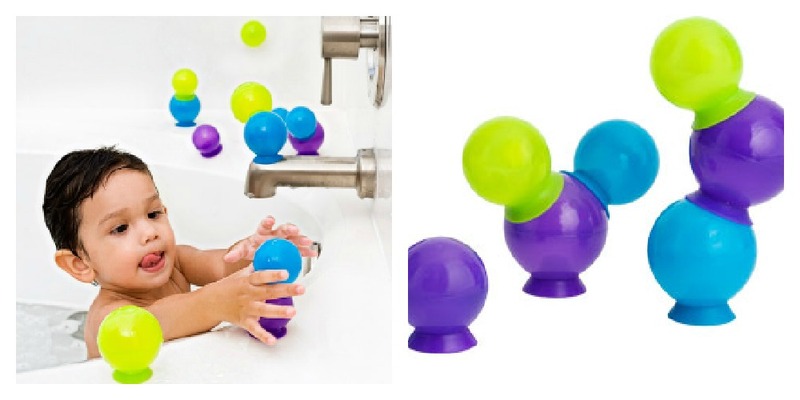 Stick these bubble suction cups on each other, the bath or your kid. No dry or itchy skin after using these bubbles! they don't pop like real bubble so your little one could play with them for the duration of the bath. Really cool product. Highly recommended. The Bugaboo Seat Liner ($59.95) is both breathable and reversible and has been designed to keep the child comfortable and cool on hot days and warm summer months, It is made of bamboo charcoal fabric which regulates the temperature to ensure the kids stays cool. The Burgaboo Seat Liner can easily be removed for simple cleaning and is designed to fit all Bugaboo strollers and is machine washable. The Bugaboo Seat Liner is available in 10 colors: off-white, sand, yellow, orange, pink, red, petrol blue, royal blue, dark gray and black.Which color would you like? Don't forget you can keep your little ones cool with this amazing product. We all love the classic wooden toys, they are the most basic children´s toy. The Tegu Tints Discovery Set ($75) update them for the 21st century. Simple, natural and awesome colors, these blocks inspire creativity. Using eco-friendly wood, they created an innovative line of educational toys and, with the help of magnets, so kids can create structures more inventive and sturdy than those with traditional blocks. This set include 26 blocks in three shapes: 12 cubes, 10 long planks, and 4 short planks. They come in a beautiful designed box and rigid enough to store the blocks for many years to come.
" It’s this creativity and imagination that we want to encourage with our toys." The Puj Baby Tub ($45) is the easiest bath tub ever. It is made from a soft foam that folds and perfectly fits in the sink. The Puj tub protects the baby during bath time. You can store it anywhere you would like even the back of your door. The Puj tub cradles and protects the baby, allowing parents to wash with both hands. You no longer have to lean, bend, sit or squat just to bath your kiddo. This product is PVc-free and BPA-free, giving the baby the ultimate comfort without exposing them to harmful chemicals. use this product for babies 0-6 months, or up to 17 lbs. Keep your baby feeling safe, warm and happy just as if baby were being claded in her mother´s arms! Nestlé has launched its BabyNes system (275), milk dispenser with a unique combination of nutrition innovation, machine technology. BabyNes is a comprehensive nutrition system for infant and toddlers. It works with a range of six single-serving formula pods (purchased separately) to perfectly fill a bottle with the perfect proportion of milk (at the right temperature) in under a minute. 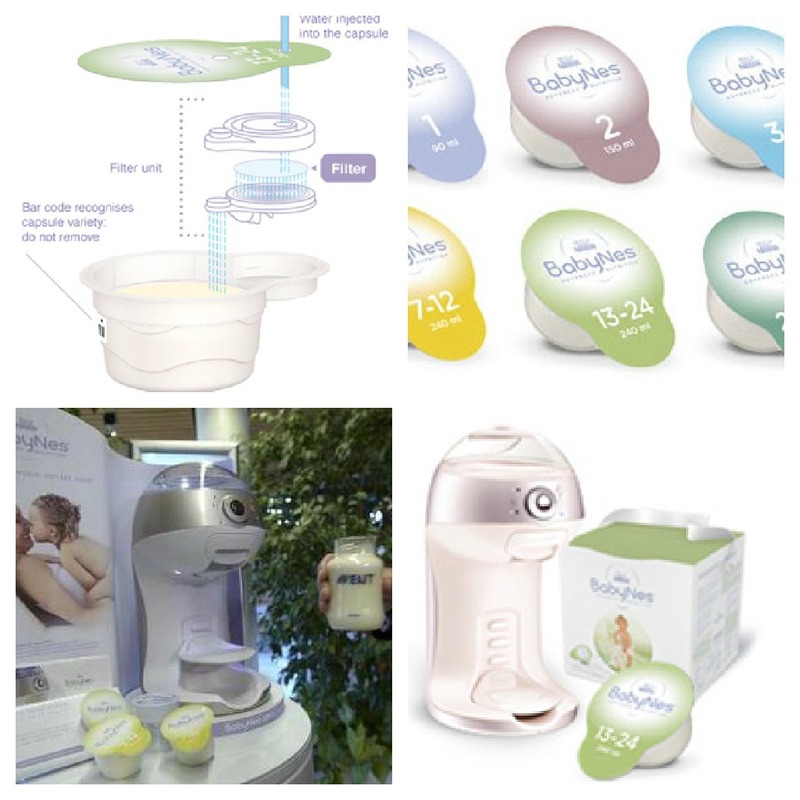 Made for toddlers up to three years old, the BabyNes formula pods include four formulation for infants and two for toddlers. 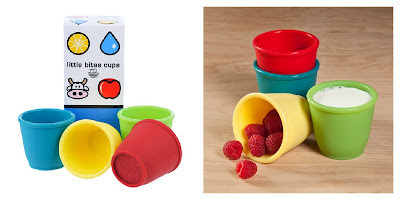 These Kinder-Ville cups ($13.99) are perfect for feeding your little one, right? The portion is just right, the colors are fun and they clean up easily. Not to mention that silicone is safe for the kids. Children can hold them easily and feel like one of the big people at the table with a real cup. The downside: strong smells you cook with will in fact be absorbed by the material. Once this happens, it is very difficult to get the smell out. The Bugaboo Camaleon 3 ($889) has become faster and easier that before thanks to its redesigned unlocking system! The design is more clear and sturdy, with streamlined rim design. Unfolding became easier with this stroller. Just lift the handlebar with one hand and the chassis is ready to go. The 90% new parts make the total stroller solid. The flat-fold carrycot makes it faster to store the stroller or take it with you. The under seat bag has been maximized, so there's extra storage. This company has definitely listened to their customers words and suggestions to make their products better and easier for parents to use. This is one trendy and built practical pram, you can buy from a range of colors for the base and canvas tops. Dreambaby Stay-Put Cutlery ($11) helps prevents your babies from dropping utensils on the floor and helps them learn to feed themselves. It is a fun way to encourage and improve coordination. Get this amazing product here! Just click on the image. 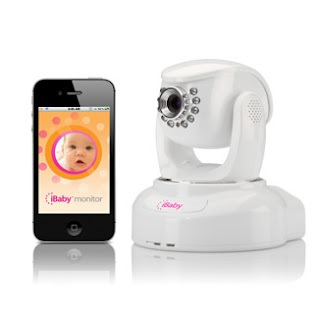 The iBaby Monitor ($199.95) is a wi-fi connected webcam with built-in microphones, infrared led night lighting, and a swivel base. Once it is set up, it can be placed anywhere. The iBaby lab website asks "Who's your baby?" pointing out that you might want to keep an eye on a relative pet or house while you are out. The camera rotates and pivots to follow,baby's movement. It works perfectly with you iphone, ipod touch, or ipad. However, reading some of the customers reviews, I found out this product generally reviews poorly on various sites. The reasons? The iBaby, and probably ios-based baby video monitors in general are not ready for prime time, particularly if you want to depend on it as your only monitor. If you use it in conjunction with Angel Care Audio Monitor, is perfect because the Angel Care monitors the baby while the iBaby video to "check on" the baby. Let me introduce you the ultra modern eco-friendly parent´s dream. 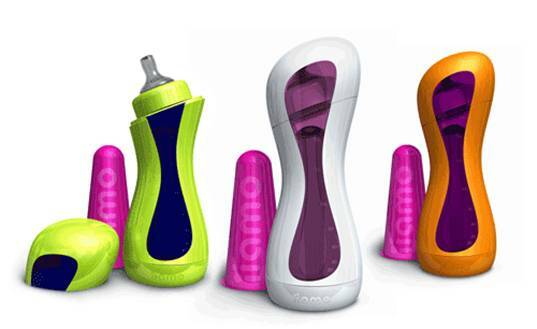 Iiamo Go ($49.99) is a self-warning feeding bottle, that is used without batteries or electricity and is phthalate free. It takes only about 4 minutes to warm up 180 ml of milk to the recommended 37º C (body temperature). It gets warm with the help of a disposable portable, non-electrical, throw-away organic cartridges with water and salt in it. The bottle can be cleaned in the dishwasher and will stand, boiling. It also has an anti-colic airing system enabling the bottle ad the teat to adjust the amount of air to prevent vacuum in the bottle. How wonderful to be able to heat up you baby's bottle while on the beach, in a plane, etc. After experiencing some problems with our blog, we are pleased to inform you that we are back!!! 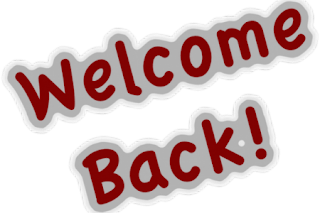 We hope you are looking forward to reading our new posts!! Are you looking for a "zero-frustration" sippy cup? if you do, this is the cup you are looking for. This Sippin' Smart™ ez flow straw sippy ($12.99) has a weighted straw that "follows" the juice, so kids can drink every drop, from any angle. 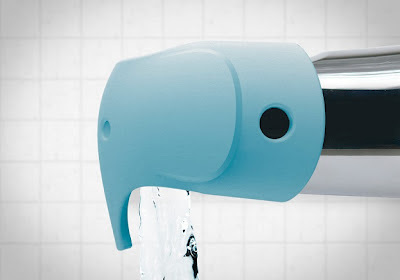 It has an air valve meaning that the cup is leak and spill-proof. and like all the products from Innobaby, this cup is BPA, phtalate, PVC and lead free. Good first straw sippy cup for babies learning self-feeding. Almost every parent has had a moment where their child has decided to wake just at the sight of sunlight, ready to start the day hours before you would like him or her up. 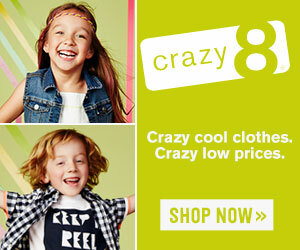 ZAZOO photo clock ($89.99) is the best solution for kids who get out of bed too early or do not stay in bed all night. The photo alarm tells the kid when they can start the day or when it is time to rest. A digital time display is shown alongside the awake or asleep images. Ito choose pre-programmed images or select your own to personalize the alarm photos. This product also includes 11 built-in songs from children's artists including Milkshake, Lunch Money, King Pajama and more. Accessories included are: remote control, A/C Adapter and USB cord. Winner of awards from The National Parenting Center, Parent Tested Parent Approved organization and the NAPPA. Baby's feet are so small that it can be hard to keep those tiny shoes on. try these gorgeous baby barefoot sandals. The little loop slips over the toe and then ties behind the heel (it will help to keep them covered). this new product called OOII™ DIY KIT ($10) contains 6 straps and 20 petals pre-cut, 4 self-adhesive leather tabs and illustrated instructions for small and large sizes on how to make your own pair. Don't you think they look adorable? Protect your child's skin in the tub with this ultra-soft spout cover ($15). This beautiful elephant cover will make your kid smile during bath time providing cushion for his or her knees and elbows. The cover is adjustable, It's also non-absorbent, and is made from recycled materials. Easy to clean with water and soap and if your kid wants to play with it during the bath, it can easily be found because it floats. Lace is now a must-have in your daughter's wardrobe. In summer, lace can be incorporated to have a chic style, just like this Zara Vest top with lace trim ($9.99). This beautiful vest looks great with this pink Zara pocket coating trousers ($17.99). If you want to add a little more style to your outfit and complete the trend, you should get this incredible Zara Leather fringed ankle boots ($19.99). They are comfortable and stylish. Personal finance is of huge importance to me. I firmly believe it's important to teach the value of money. When I was little my mom gave me a "one slot" piggy bank. Every time we earned money for for chores, or were gifted money on my birthday or Christmas I put it in the piggy bank. With this sophisticated product you can teach young children the importance of saving, spending, donating and investing. 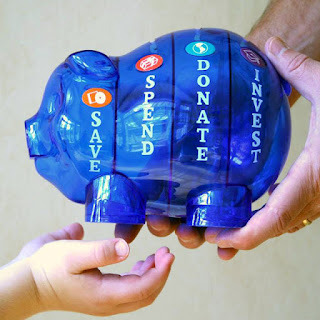 I love the Money Savvy Pig Bank ($17) because it is interactive for kids. Kids will make choices about how to diwy up their money. The money sawy pig comes in blue, green, pink, or red. I know diper changes can be daunting without the rightgear. Rest assured, I got you covered. Funktion moms changing pad is the cutest way to handle crappy situations. It fold easily. It has Velcro closures. So it can easily be thrown in a purse or simple kept in the car for use while out. 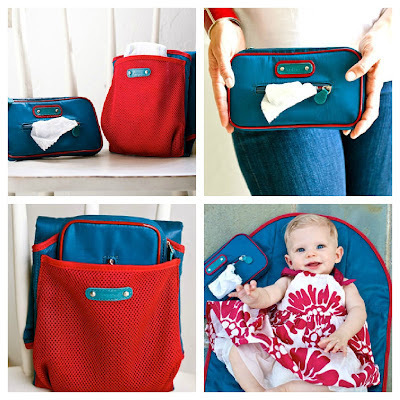 It has a front pocket that can fit a wipes container or some diapers. Is easi to open one handed and most importantly, the size is perfect to accommodate toddlers' butts germs free. You can purchase the pad for $39. Now, if you are interested in buying this pad you should also get the Funktion moms Wipes Case ($29). Is built to hold wipes and designed to do it fashionably. Is fully lined with an additional waterproof insert included for duo protection. For our grandparents, glass baby bottles were the norm. Nowadays, with news of dangerous BPA, more and more parents are making the switch back to glass and that's why I love this discovery of 5phases, which has created a mom-designed hybrid bottle that give the best of both worlds: the enefits of a glass and the BPA free plastic. The bottle consist of a glass insert and a see-through BPA and Phthalate-free plastic sleeve that allows you to view the contents. I've been reading some customer reviews about this product, and I found out that there are 2 primary areas where the design could be improve. First, there are not many threads on the base, so that you only have just over one turn to secure it in place. Second, the volume markings are somewhat variable between bottles and not super accurate. "5 Phases glass babby bottles, the next best thing to Mom"
I love that my kid is artistic, but when he started using paint I was really worried. Kids are naturally curious about their environment and might put nonfood items in their mouth. When I found out about We can too art $35 I felt so relief. This edible finger paint is made from organic ingredients (fruit, vegetable and rice cereal). It doesn't contain sugar or preservatives. It comes in 5 different colors: purble/blue real bluberries, red/pink real beets, orange/yellow pumpkin, green spinach. You just need to add water and shake it as its going to make over 12 oz of paint per bottle. It is safe to eat, so there is no reason to worry about the fingers in their mouth. Babies spend the first months of their lives sleeping. Bedtime is fundamental in the development of cognitive and physical abilities, needing an environment rich in oxygen. Conventional cribs are made from mostly plastic and synthetics causing irritations and allergies. 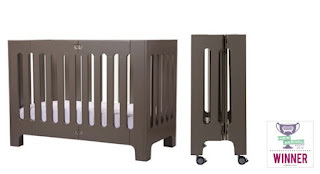 Unlike this, nook cribs are made with natural and organic components, facilitating breathability. They are also fire retardants with ignition temps which means that a light bulb can touch it without burning it. This mattresses contain PETE (recycled plastics and uniquely sturdy material that promotes healthy and vital airflow). They are safe, clean, promote healthy baby sleep available in different colors, you can choose between Lite $295, Pure $395, or the pad %195. Add more fun to bath time with this natural Rubber Bath Toys. Set includes fish, duck, and frog. This delightful set will bring fun, and laughter to bath time. 100% natural rubber, latex, hyglenicone piece design (no holes for water to get into), no pvc, no bpa, and no artificial colors. Something to talk about because it packs a lot into its small package. Available for $89.95, the Serenity Star is expensive, but it is a helpful device for parents electronic sleep system. Plays a selection of 4 soothing sounds, displays the room's tempeture, emits a soothing glow, and it's also portable. If you're planning a roadtrip with the kiddos this baby is a life saver! the Ilatch -Ipad ($49.99) allows you to easily clip an Ipad to the seat back, so your little ones have temporary distractions, and grown-ups won't be interrupted by endless questions of are-we-there yets. Super verzatile, easily to use, lightweight, and effective. Time Magazine selected the Offi-Eva Foam Table ($199) as one of the "coolest inventions of 2012". Child-size proportions and sturdy construction make them the perfect addition to your child's moder place. 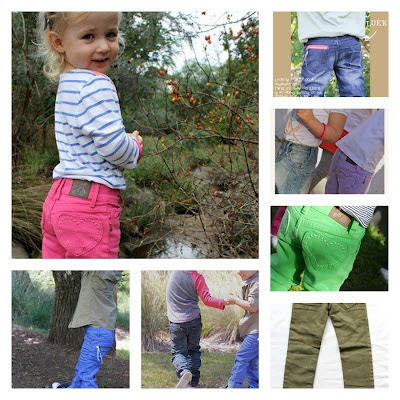 Comfortable, safe, lightweight, durable, strong, and washable. Where: This item ships to anywhere in the continental US. Shipping is FREE! Bugables Mosquito Repellent Stickers (4.79)is the newest addition to the arsenal to battle mosquitos. It works by emiting an aura of natural plant-based essentials such as lemon grass, geraniol, and citronella. Ech sticker works for up to 200 hrs, and protects an area of 4 to 6 feet. It's safe to stick on kids clothing and backpacks, but I recommend to put it on their back so they don't fuss with it. This super cute skinny fit jeans features an adorable heart back pocket for the girls, coming in vibrant color such as "Lilac, Summer Sun, Thulian Pink and White". If you are looking jeans for the older kids, you can buy this comfort slim zippers available in urban tones like grey, black, aztec blue and tamborine red. Bible "You'll love these jeans"
I recommendou could having everything ready to go when you're eight months pregnant. Since you culd go into labor at any time in the weeks before your due date. 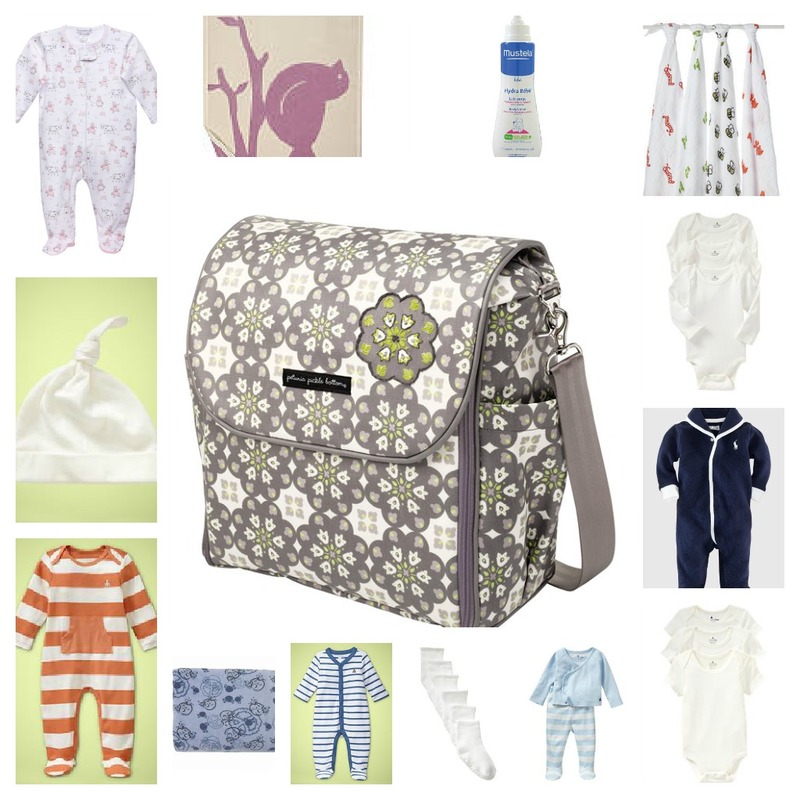 There are some essential things you should bring for your baby. Here's a list of things recommended by experienced moms. To make things easier, hereunder you'll find where to buy those essential things. I hope this info is of great help!! This beautiful solid wood Alma Papa Crib ($700.00) is suitable from newborn to 4 years, and has two mattress heights to allow it to be used as a bassinet or full-size crib. It's also slim enough to fit through doorways, and its wheels make it easy to roll from one room to another. It folds for storage without compromising anything in style. Wouldn't it be great to have a crib on wheels that would be thin enough to fit through doorways? or save $5.00 dollars buying the Bloom Alma Papa Crib clicking the following links. At last! a cradle for twins is available now, they can stay side by side a few extra months. The cradle has a dividing wall to separate the children when needed. They can see and smell each other, but since the cradle contains 2 mattresses made of 100% cotton you can tuck each child in separately. 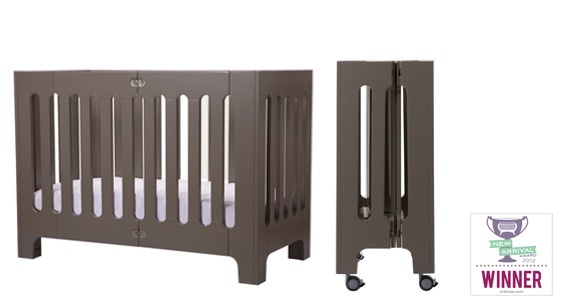 The so-ro cradle ($1,200) provides the type of motion most comfortable for babies. 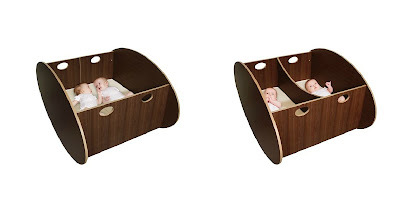 Its front-to-back rocking motion has a soothing effect that helps the babies fall asleep. Is 43 " long and 25 " tall and weights 40 lbs. Available in White or Walnut and it's made of American walnut real wood veneer on plywood Baltic birch. The mother-daughter relationship should be unique and fun. Little girls love emulating the beauty routine of their moms, and with this piggy paint nail polish painting her nails are going to be safe, and at the same time it'll be a creative way to enjoy some quality "girl time", letting your princess feel glamorous. It's free of formaldehyde, toluane, acetone and other toxic chemicals. On the other hand, it's a water-based formula that contains among others, water, acrylates, titanium dioxide, iron oxide pigments, etc. If you let your child paint your fingernails or toenails it will help her with her fine motor skills. If you're trying to teach your child color names, paint her nails with the specific color you’re working on. All day long, point out objects in her environment that match her nails, Once she knows the color, paint her nails with a new color. If you're working on simple patterns, alternate colors on her fingers. Start out with color patterns and then attempt other categories. A bottle will run $9.99 or a set of three $26.50. Don't forget to order piggy paint nail polish remover $10.50 that contains none of the solvents that could offend your nose or harm the atmosphere. It doesn't contain Acetone. 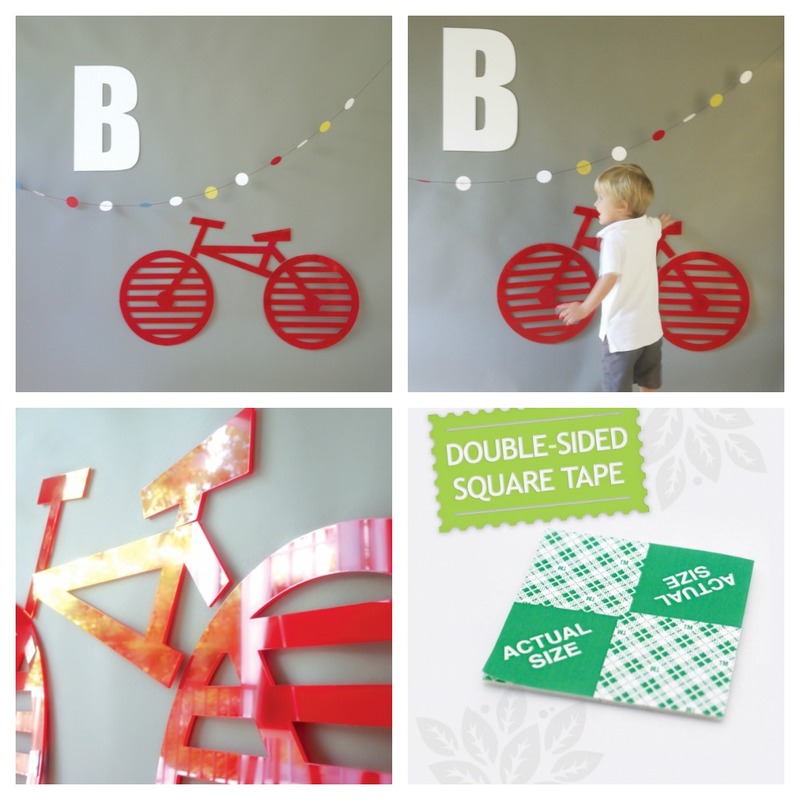 I'm fairly certain this Acrylic Bike Wall Decor; ($99.00) it's going to be your little boy's favorite piece of the room. The bright red acrylic really stands out. It's unique and modern, and it can really make the nursery shine. If you don't like the color red, Dont worry" It also comes in blue, green, white, pink, and yellow. I love the Kardashian sisters' style and therefore little mason style as well. He is wearing Tom & Drew shirt, Ralph -lauren Shorts and Minnetonka shoes.